In his Spring Statement 2019 speech, the Chancellor reinforced that the mandatory digital record keeping for businesses with annual revenues above the VAT threshold (£85,000) will come into force from 1st April 2019. Philip Hammond called this an “important first step in this modernisation of the tax system to which the Government remains committed”. 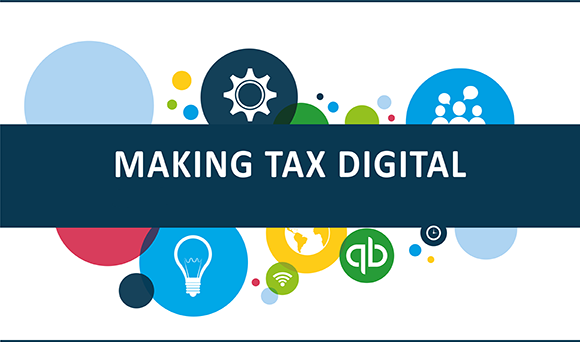 Making Tax Digital (MTD) for VAT is designed to help small business owners and self-employed professionals get a better handle on how much tax they owe – or how much tax they are due back from HM Revenue and Customs (HMRC). MTD-compatible digital tax reporting software will help to eliminate human error from data input and enable HMRC to improve taxpayers’ understanding of how much tax is owed within their digital tax account – much like online banking. A recent independent study, published in association with TaxAssist Accountants partners, Intuit QuickBooks, believes MTD for VAT will deliver a productivity boost for small businesses. The report indicates net gains in turnover and a financial boost for the national economy to the tune of £57 billion within the first five years of its operation. The Chancellor has also confirmed that the Government will adopt a “light touch approach” to all penalties relating to MTD for VAT in the first year of implementation. This approach is reserved for individuals and small businesses that are “doing their best to comply”, with no filing or record-keeping penalties due to be issued within the first 12 months. Mr Hammond said that the focus for MTD for VAT will be on “supporting businesses to transition”. The Chancellor also revealed that he would not be “mandating MTD for any new taxes or businesses” in 2020 as part of this transitional period. MTD is going to fundamentally change the way businesses keep their records and bring it into the digital age so this “light touch approach” to penalties will simply enable businesses to thoroughly test their new software and digital links before the penalties kick in. Therefore those VAT registered businesses that take the relevant steps to comply with MTD will have nothing to worry about.